Andy Lau Tak Wa for CHASING THE DRAGON (JUI LUNG) remade the hit FROM THE HEART OF A WANDERER (LONG JI SUM SING) and made a music video with film footage. In the film Crippled Ho and Lui Lok competed in the word of money and power. Wa Jai said about their relationship, "They have never seen each other as friends, but in old age when they thought back on some important events and people they realized that they were real friends. They were opponents, as well as colleagues. This was also what was delicate about their relationship." The biggest difference between the two was Lui Lok saw himself as the most important. In the end he sensed that love, family, friendship were the most important. Power and money were secondary. Thus when he foresaw the danger that would affect his family, he was determined to leave all the power he had and left Hong Kong. Wa Jai thought that FROM THE HEART OF THE WANDERER was coincidentally in the same vain as the film's theme of "Life and death are destined, fame and fortunate are up to Heaven" and thus he used the song to promote the film. Hong Kong mob films once were all the rage in the 70s and the 80s Hong Kong film industry. 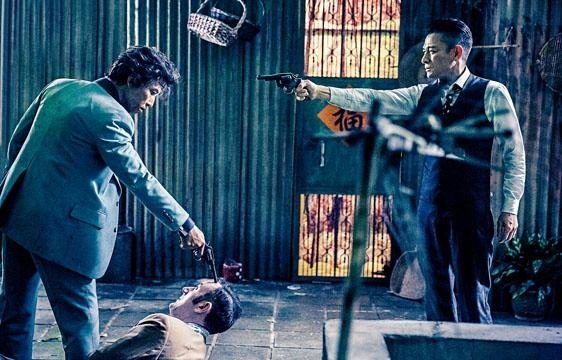 The film company hoped that CHASING THE DRAGON would be able to start a new trend for Hong Kong mob films. Donnie Yen Chi Tan felt that back then Lau Tak Wa was the on screen symbol of this genre. "He had more mob film experience than me. This time I was able to learn from him, especially how he performed the role of Lui Lok. Our dramatic scene rehearsals also resembled the action scenes. We sparred and interacted.